Ozzie Martinez is the founder of a small nonprofit organization called Operation WetVet in Miami. They are dedicated to helping other Combat Veterans who suffer from PTSD and TBI by creating new memories in a safe, calming environment centered around camaraderie, fishing and other water activities. Rob Disney is currently running for a Congressional seat in Colorado. Patrick Brown spoke at the American Gold Star Mothers Virginia Annual Department meeting in April in Virginia Beach. 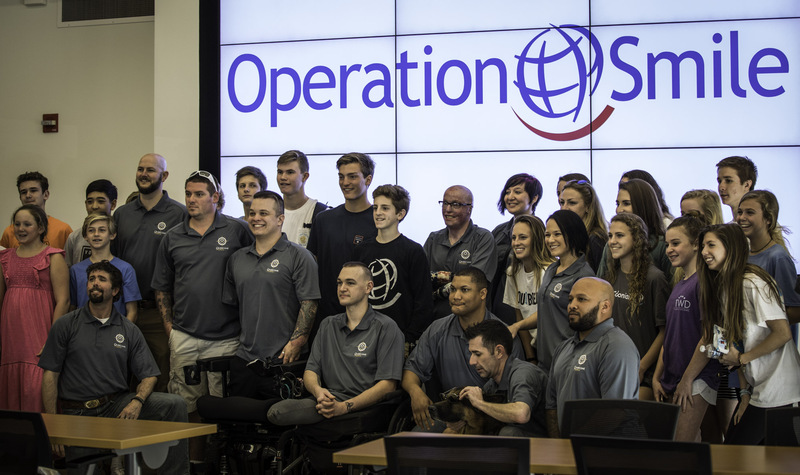 Shawn Lopez is serving as program manager of Knight Federal solutions for their Purple Knight Initiative program, which provides paid internships to wounded warriors looking to learn a new career. Mary Dague was a special guest speaker at the Buffalo Chip’s Freedom Celebration during the annual Sturgis Motorcycle Rally this month and at the Infinite Hero Foundation’s Annual Ravenna Invitational in July. Click here for video. In June, she was featured in a Game Informer. Andrew Smith currently serves as the Executive Director of Rooftop Missions, a nonprofit organization dedicated to rescuing orphans from human trafficking and abuse. Christine Conley gave a presentation about her own personal journey to the Independent Living class at Lakeland High School in Suffolk, Va. Christine has also come aboard the CWC team full time as our CWC program manager. Tyler Southern (pictured below) was also in attendance at the Sturgis Motorcycle Rally where he was presented with a customized Can-Am Spyder courtesy of Grey Smith, manager of the Buffalo Chip, custom motorcycle mechanic Norman Lovelace, and hundreds of generous donors. 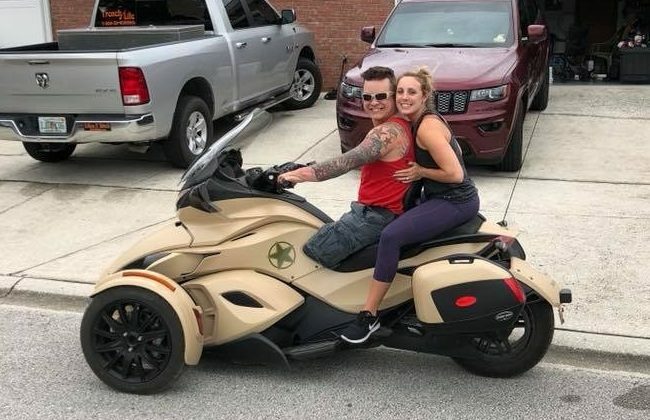 Tyler Southern poses with wife Ashley on his new, custom bike.